Rosalia A. Garritano, 93, formerly of Altoona and Elmcroft Senior Living Center, went to be with her Lord and Savior on Saturday. She was born in Naples, Italy, daughter of the late Guiseppe and Teresa (Aruta) Reina. On Feb. 24, 1946, she married A. John Garritano, and he preceded her in death on Feb. 7, 2014. Surviving are three children: Joanie Lantz of Indiana, Frank (Cindy) Garritano of Indiana and John (Debbie) Garritano of Altoona; six grandchildren: Jon (Natasha) Lantz, Lia (Anthony) DeMarco, Chris (Carrie) Garritano, Mike (Jesse) Garritano, Anthony (Angela) Garritano and Natalie (Mike) Hamilton; six great-grandchildren: Zola, Declan, Daxon, Quin, Sofia and Madison; a sister, Josephine Reina of Latina, Italy; and numerous nieces and nephews. She was preceded in death by infant sons: Frank and Justin; and six siblings: Emilio, Vito, Nina, Enza, Gennaro and Rafael. Rosalia was formerly employed by the Altoona Area School District in both the Roosevelt Junior High and Altoona High School cafeterias. 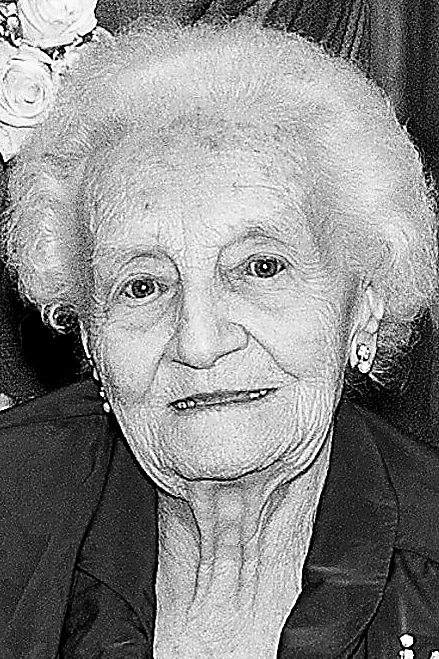 Rosalia was a war bride and came to America via a 10-day boat excursion. She arrived in New York in April 1946. She learned to speak the language and loved everything about her new American home. She was a member of Our Lady of Mount Carmel Church, and she was a lifelong member of the A&J Iaia Post No. 827 Ladies Auxiliary, where she held offices of president, vice president, chaplain, historian and Poppy Drive chairwoman. She was also a member of the Sons of Italy Ladies Lodge No. 1415. She enjoyed watching Penn State football, crocheting, crafts and needlepoint. “Nana,” as she was affectionately known, loved spending time with her children, grandchildren and great-grandbabies. Friends will be received from 2 to 8 p.m. Wednesday, June 13, 2018, at Santella Funeral Home, Altoona, where a vigil for the deceased will be held and from 9:30 to 10:15 a.m. Thursday, June 14, 2018. A funeral Mass will be celebrated at 10:30 a.m. Thursday, June 14, 2018, at Our Lady of Mount Carmel Catholic Church, Altoona. Committal will be at Calvary Cemetery. The family requests that memorial contributions in Rosalia’s name be made to St. Vincent de Paul Soup Kitchen, 2201 Union Ave., Altoona, PA 16601.